This was my first time at Salute and I didn’t really know what to expect. 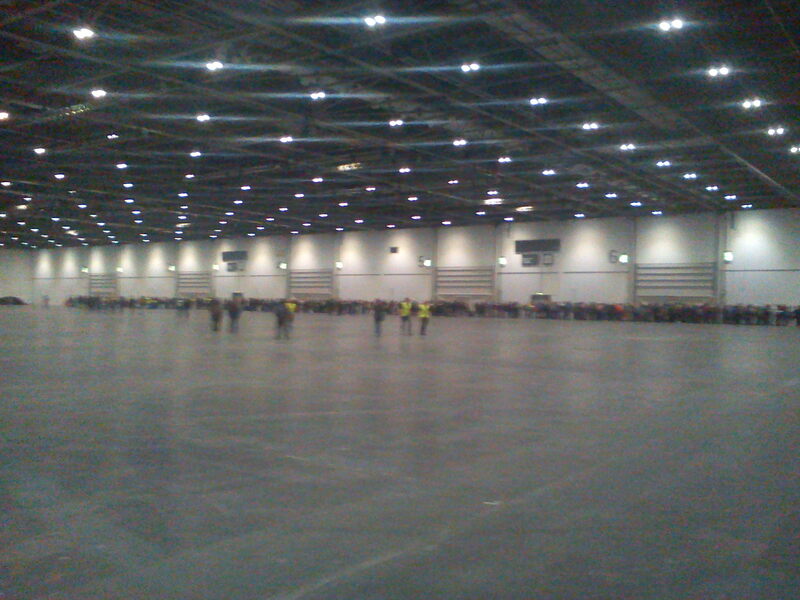 Especially as my last experience of an event at London ExCel had been a pretty average Star Trek related event. So when I rolled up and saw the crowds it was kind of amazing. That wasn’t even half of it! I’m glad to say though that Salute didn’t disappoint. Though a bit overwhelming at times (not helped much by the map, which seemed to be a bit off on some of the stands locations) it nevertheless managed to combine the feel of a big event with the friendliness of a much smaller one. 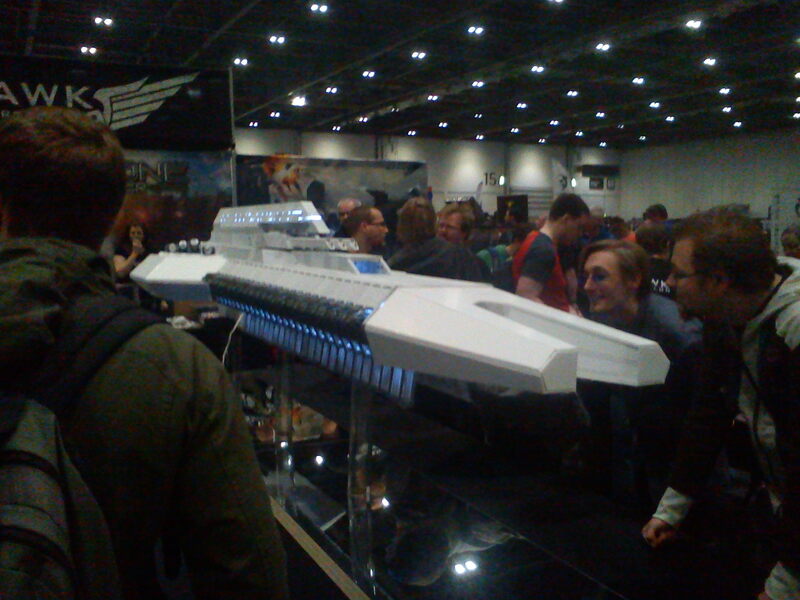 Marking themselves out as I walked in were Hawk Games, whose Dropzone Commander large-scale model drew the crowds in with its elegance. After that I had a bit of a ramble around to get myself acquainted with the layout of the place. What caught my eye was the diversity. Though admittedly the mainstay was futuristic military sci-fi games and the fantasy hack and slashers that every wargamer loves, dotted around were some more unusual fares. From the Dark Age skirmish game Valhalla, to a strategy game about building a bee hive and making more honey than anyone else, there was plenty of variety if you were willing to look. 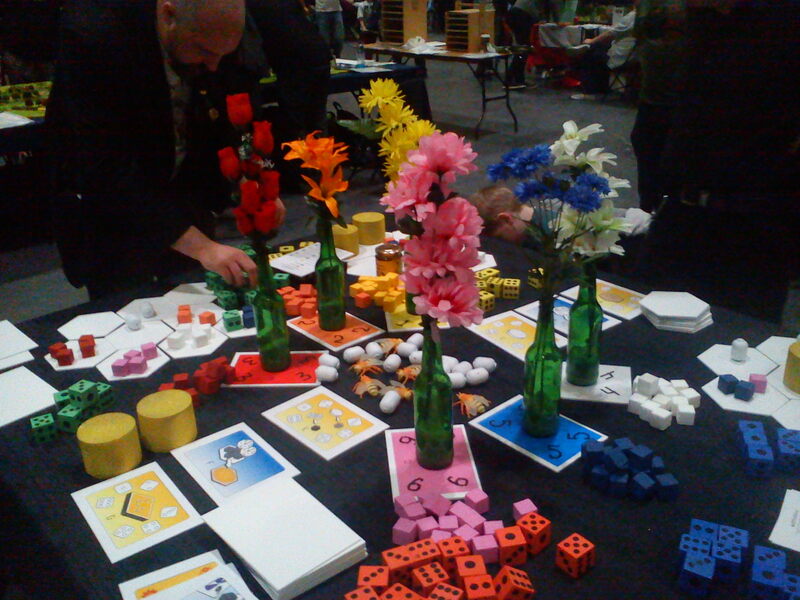 In typical wargamer fashion, more people were interested in the foam dice than the board with colours beyond red, brown and metal. Then it was time to meet up with the rest of The Shell Case team, who had bravely risked their lives trying to collect orders from the Forge World table during the peak time of the day. Plunder in tow we stopped to chat, grab a bite to eat and stare at all the pretty miniatures. The standard was so high this year with an appearance by Mierce Minatures, though it seemed everywhere you looked there was something new and wonderful. Black Scorpion being nestled away in the corner with some fabulous models were another highlight, along with West Wind’s Secrets of the Third Reich line. What did surprise me was how inventive the folks running the stand were, constructing all manner of things out of the blue foam, including their banner, which could be clearly see from the other side of the hall. I managed to grab myself some deals too, topping up the gangers I already have with some reinforcements from Heresy Miniatures, some very solid resin terrain from Simple Box Miniatures and a couple of rule sets that caught my eye (you’ll hear more on those in the future). My thanks go out to all the #warmongers who met up with us on the day, the traders who were happy to chat and the many, many people running intro games, especially Christina, who graciously overlooked me calling her Selvig by accident after looking at the name on her t-shirt. 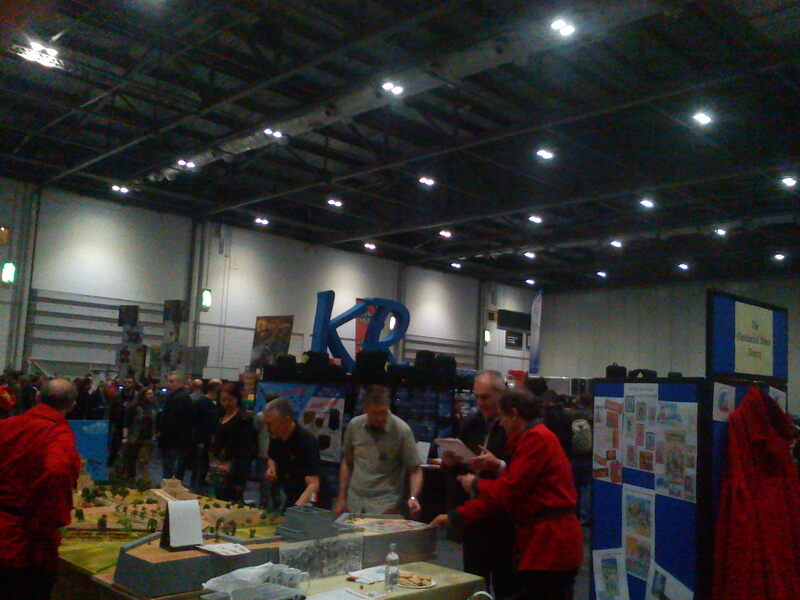 You made Salute 2014 a great day and I’ll be glad to see you next year. Now, where did I put that pen and paper? I have armies to plan!